If people were to divide the animal world into the smart and the not-so-smart, we might put birds squarely in the "dim bulb" category. For decades, people have written off birds as largely witless, driven solely by instinct, and their brains as primitive, capable of only the simplest mental processes. But it is not so. 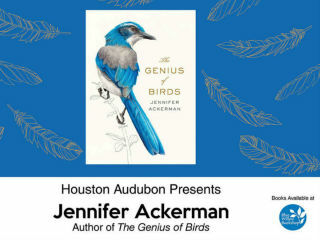 This book explores the new view of birds as "thinkers" - cunning, playful, witty, greedy, cranky, joyful, competitive. It looks at the intelligence of birds within the context of easily observed behavior in our own surroundings and brings to it the latest science from lab and field. Jennifer Ackerman has been writing about science and nature for 30 years. Her most recent book, The Genius of Birds (Penguin Press, April 2016), explores the intelligence of birds.